Match Group is rallying Friday after a Wall Street analyst launched coverage with a bullish price target of $US66 – 28% above where shares settled Thursday. Nomura Instinet says the online-dating sector could be worth $US12 billion by 2020. Nomura says it’s worried about Facebook’s foray into dating either, and says Match keeps competition at bay by buying out competitors, like its Hinge acquisition this summer. Wall Street thinks online dating could be the next hot sector, and the latest estimate sees the market growing to $US12 billion by 2020. 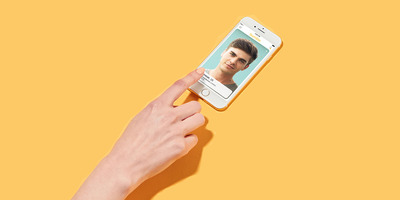 It all comes down to peoples’ increasing willingness to try out online dating, Mark Kelley, an analyst with Nomura Instinet, said in an note to clients Friday. 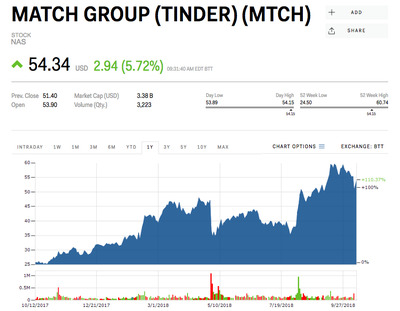 It’s his first research published on Match Group – the company behind Tinder, OKCupid, Hinge, Match.com, and a slew of other singles sites – where he’s easily the most bullish analyst, with a $US66 price target for the stock – 28% above where shares settled on Thursday. “Roughly half of internet users are single, and we estimate 20% of them will be willing to use online dating products by 2020 (up from 15% in 2015), which equates to ~310 million people globally (excluding China),” Kelly said. Hinge is Match Group’s most recent portfolio addition after buying a 51% stake in the app in June, with the option to buy the company outright over the next year. That acquisition is reflective of Match’s overall strategy, Kelley says, of buying out competitors before they reach meaningful scale that could potentially eat into Match’s user base. Even Facebook, which recently announced a foray into dating, shouldn’t be a concern. After all, it’s not a winner-take-all market in Kelley’s view. This is especially true as Match’s international subscribers become closer to a majority. By 2020, Nomura estimates just under half of the user base will be outside the US. 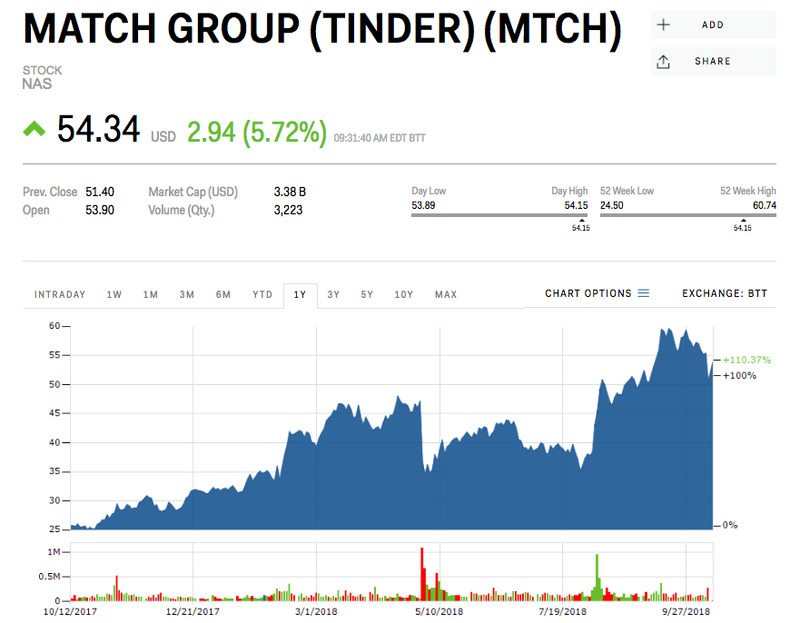 Tinder continues to drive Match Group’s revenue growth, which we estimate will reach $US815 million in 2018 (up 104% YoY), as the positive impact from Gold (launched last summer) has persisted longer than anticipated, and as newer monetisation features add incremental opportunities to capture wallet share,” Kelley said. Match gained more than 5% early Friday following Nomura’s coverage launch and Kelley’s bullish price target. Shares are up 66% this year.